When I was a teenager, I was in our school’s France exchange program. The culmination of four years learning, speaking, and writing French and discovering France’s culture and history was a month-long trip to France experiencing life as a student living with a French family. I couldn’t wait to get there. It was a struggle for me, but full of experiences I was promised all those years in French class. I came home with weeks of memories and a suitcase full of French school supplies, clothes, books, pictures, and a half-dozen pains au chocolat that my French mother carefully stowed in my travel bag when I wasn’t looking. As memories fade around the edges and become more romantic with time, my trip to France became the one experience that all of my other life experiences compared to and paled against. Something unexplainable happened during my time in France that changed my soul. I developed a love for the culture, finding ways in all the years since to get back there and soak it up again. I’ve been back for academic conferences, family vacations, girls’ getaways, and even piggy-backed on a work trip that my husband took, dragging the kids along. Over the years I’ve revisited old memories and made new ones, always looking for a way to get back to France. So naturally, when I stumbled across Jennie’s blog A Lady inFrance – about her life as an American mother making a life not wholly unlike my current one, but just outside Paris – I glommed onto it like that awkward hanger-on friend that everyone had in high school. You know the one. The kind I still am, evidently. As I read her blog, I fell in love with Jennie’s gentle voice and her graceful way with words even as she describes her daily life as a mom in another country. I laughed with her mishaps and nodded my head in agreement with her spiritual truths. I made her recipes for my family and oohed and ahhed at the gorgeous pictures she takes of her surroundings. She was a warm embrace, a genuine person, and I related to her so much. At some point, she started publishing her memoir on the blog, a chapter each week. I read, cried, laughed, and commented. I couldn’t believe what I was reading. Her story drew me in, leading me on an adventure across the world and back again, learning about a past so different than my own, but through the same gentle, warm voice that I’d come to love. Through that time we became friends. That was about the time that Jennie announced that she was publishing her memoir as a book. And when she asked friends to do a review for her, I jumped at the chance to read her story again in its entirety. Her journey from college student living in France to life as a mom in France, gripped me even the second time around. Her life experiences living all over the world (she’s lived on four continents) are amazing. It’s hard to believe that one person has seen so much, has lived so much. Jennie has, and her gorgeous descriptions of the events in her life make you feel as if you remember them with her. Jennie takes you from France, to Taiwan, to the US, to Somaliland, Djibouti, and Kenya in Africa, and back to France. She takes you through her own losses and joys, her heartaches and healing love experiences, and her faith journey in an open way that suggests she trusts us with the deepest secrets of her heart. You find that she is a great friend, a strong woman, and a thoughtful partner who is generous with her life stories and what they’ve meant to her. You find that behind all the action, there is a quiet spirit who is searching for meaning just like the rest of us. At the end of the book, you know Jennie. You see yourself in her, even if you haven’t lived in Europe, Asia, or Africa. You see yourself in her even if you haven’t seen or experienced the things she has, even if you don’t share her locale. Through her story she inspires you to be open and honest with yourself and your loved ones, to be a great friend and to appreciate all that you’ve been given, even if it’s difficult to receive. 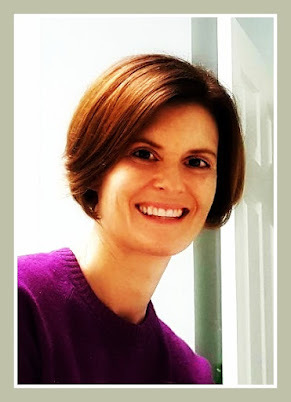 Jennie is honest, fearless, and genuine, and her life story as a daughter, sister, student, professional, wife, missionary, mother, and friend will stay with you after you read her book. You will fall in love with her just as I did, even if you’re not the worst kind of Francophile like I am. 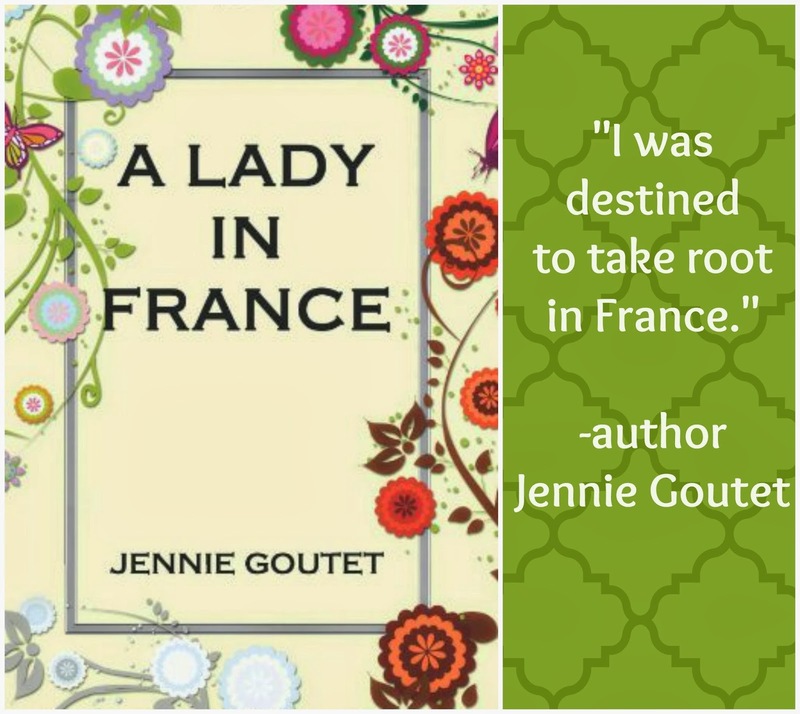 In honor of Jennie’s publication, I am offering a chance to win a copy of her book, A Lady in France, to YOU! And I just might throw in a little something extra just for you as well. OMG you are a lucky duck. Not a winner? Don't want to wait for the contest to be over? It's okay. You can buy Jennie's book at Amazon right here. Do it - you won't be sorry! Find Jennie Goutet at her blog, on Facebook, and on Twitter. I love Jennie and I love her book! Would love to win this for a friend, since I clamored to buy a copy as soon as it was published. Congratulations & continued success after publication! Oh this looks fabulous! I've never been to France, but it's the first place I would go if money and time were no object. Yes! You'll love Jennie's memoir. And when you book your trip, let me know. Paris is calling!! I lived in France for 15 years growing up, and now live in Southern California. I return to Paris in May, each year, as my dad lives there and I celebrate his birthday in May. I love books comparing French/US/Brit cultures, and have also lived in Nigeria, as a child, and Belize, with my teenage sons. I wrote about uprooting my teens from Orange County, CA to live in a hut in Belize, and how it changed my family. I definitely want to read Jennie's book, and would also love to offer a copy of my memoir, "Freeways to Flip-Flops: A Family's Year of Gutsy Living on a Tropical Island," in the future to a reader on your site, if you'd like. Thanks so much for commenting here - your story is so intriguing! I have definitely felt the urge from time to time to sell it all and move away to some place else. Would love the chance to read this book! I just want to hold your hand right now and glom. You know I adored the book and you wrote such a great review! She really has had an amazing life, already!! Jealous of your many trips to France! I want to go SO bad!! I think I need another copy for a friend or my Mom or anyone! :) Thanks for the giveaway girl. I am always looking for a friend to go with me to France. You in? A lovely review connecting two truly lovely women! I took French in high school as well. I remember maybe five words, one of them being vite! Mostly because I like the way it sounded. I also love Jennie and strongly encourage everyone to read this book. My go-to phrase in French is "Je joue au hockey" - I play hockey. Which is dumb, because I most certainly do NOT joue au hockey. Thank you so much for offering this book as a give away! I've been an expat, and it would be wonderful to read about someone else's experiences. I'm sure you will love Jennie's story, Tammy, and will find some similarities to her experiences. I have never lived outside of the US (well, except that one time), and it's always been a dream of mine. So happy to have you enter the giveaway! I'm totally entering this because I am a bad friend and haven't gotten around to buying my own yet. Pick me!